Established in 1972, La Mare Wine Estate is Jersey’s only working vineyard. 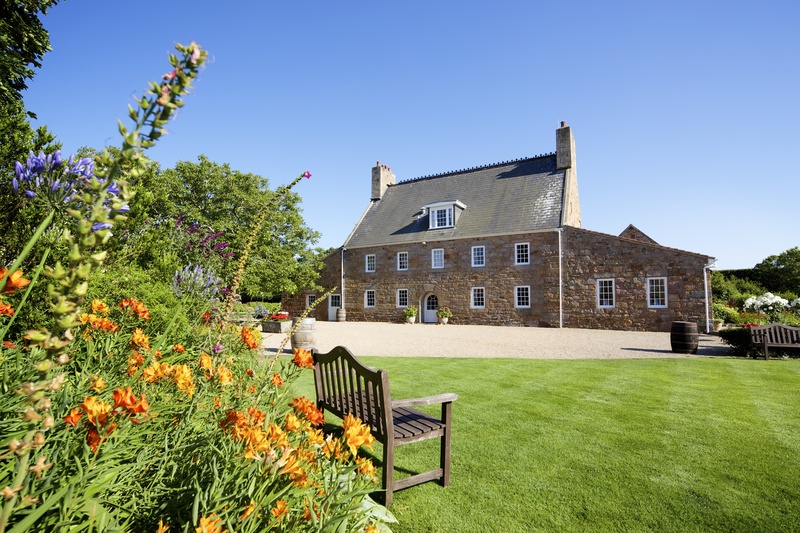 Our Estate comprises an eclectic mix of authentic Jersey buildings and beautiful gardens. Our mouth watering Cream Tea is available daily and includes fresh homemade fruit scones served with Jersey Dairy butter, clotted cream, Jersey Black Butter or La Mare’s Raspberry Jam. An Artisan crafted Jersey Gin infused with seven classic botanicals and the delicate addition of elderflower, with a unique influence of the Island’s world renowned Jersey Royal Potato. Jersey Black Butter is a very old and traditional farm-house delicacy of Jersey, the product is important not only in gastronomic terms, but also as a constituent of a now declining rural tradition. Book your group in to learn the indulgent art of chocolate making (and tasting!). Our professional Chocolatier hosts this unique chocolate workshop. La Mare Wine Estate's guided tours will take you around the beautiful vineyards, orchards, the Cognac style distillery and the chocolate production kitchen. La Mare is a Green Tourism Gold standard attraction, awarded for sustainable tourism through the undertaking and adherence of 20 specific actions. The largest of the Channel Islands, Jersey is an island in tune with nature, bursting with unique culture. At just nine miles by five, Jersey is an island like no other, a mix of sedate countryside and cosmopolitan culture. La Mare Wine Estate is situated in the north of the island in the country parish of St Mary. Enjoy a tour and tasting with loved ones, a delicious cream tea in our Vineyard Cafe or browse our Genuine Jersey goodies in the Estate Shop. Quality wines, spirits, liqueurs, preserves, chocolate and bakery goods all handmade on the Estate. Be the first to receive all the latest news and exclusive offers from the only vineyard in Jersey.